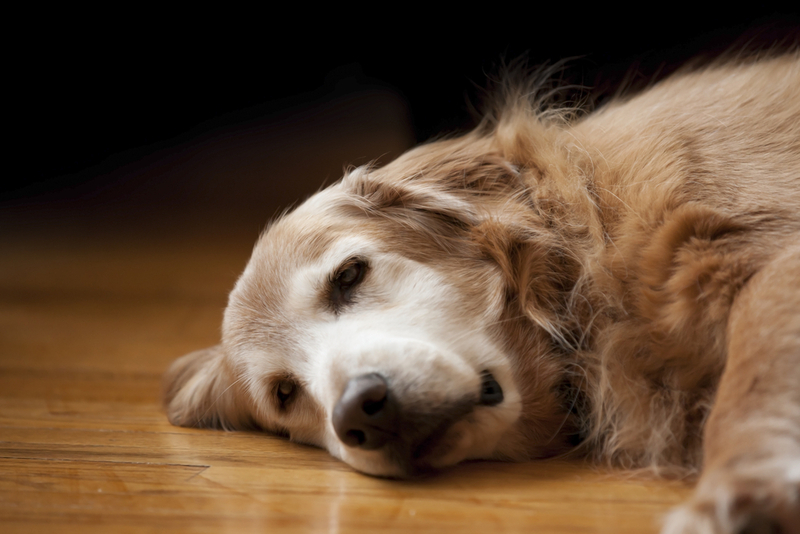 This is an excerpt from "Senior Dog Basics with Jennifer Kachnic, CCMT, CRP." The entire article can be read Your Dog's Golden Years – Manual for Senior Dog Care, edited by Jennifer Kachnic. The primary form of communication for dogs is body language. It is important for you to learn more about this language, especially if you are caring for senior dogs, in order to understand their changing needs. It is up to you to notice the signs and signals that indicate pain and discomfort, as not only will it save your dog from suffering, it is also much more effective and less costly to detect illness or injury early on in your senior dog. Once you master this language, you will see your dog communicate with you and others non-stop. Overt signals that something might be wrong are: vomiting, loss of appetite, weight loss or gain, coughing, sneezing, discharge from the nose, eyes or ears, shortness of breath, stool changes, urine color or changes, strong odor in the mouth, hair loss, lumps on the body and changes in skin color. Dogs will also guard a part of their hurting body or rub on furniture when they are in pain. They might limp, undergo changes in their sleep patterns, exhibit difficulty climbing stairs or bark more weakly than they used to. Seriously ill dogs might also run a fever or their body temperature may drop to below normal. If your dog’s temperature reaches 105 degrees or above, or drops to 96 degrees or below, take him/her to the vet immediately. Your dog’s respiration rate should normally be around 15-20 breaths per minute (depending on your dog’s size) and the pulse should be 80-120 beats per minute when healthy. You can feel a dog’s heartbeat by placing your hand on the lower ribcage just behind the elbow. Don’t be alarmed if the heartbeat seems irregular compared to a human's heartbeat, but you may notice this change if a dog is in pain. In addition to these relatively obvious physical signs of problems, you will want to look for subtle clues that indicate stress and anxiety in your senior dog. These include the dog putting his tail between his legs, pulling his ears back, stiffening his body, showing teeth, growling and avoiding contact with other humans or dogs. Other signals of stress include lip-licking, averting their eyes and even yawning. Don’t assume your dog is just tired when he yawns, as dogs will also yawn when they feel anxious to help calm themselves down. In addition, dogs might blink their eyes faster than normal, scratch, pant and shake their bodies (as if wet). Excessive drooling could be a response to the presence of food, or it could also be a sign of stress. Grooming in excess—including licking or chewing of paws, legs, tail and genital areas—can also be a sign of anxiety and stress. Stress can lead to aggressiveness in dogs, which may be another sign your dog is experiencing difficult physical changes. People find it hard to understand why their dog has suddenly become aggressive to them or others. From the dog’s point of view, he is quite vulnerable, with limited means of communication and has no choices in the decisions of his caretaker. Review of holistic therapies for dogs.